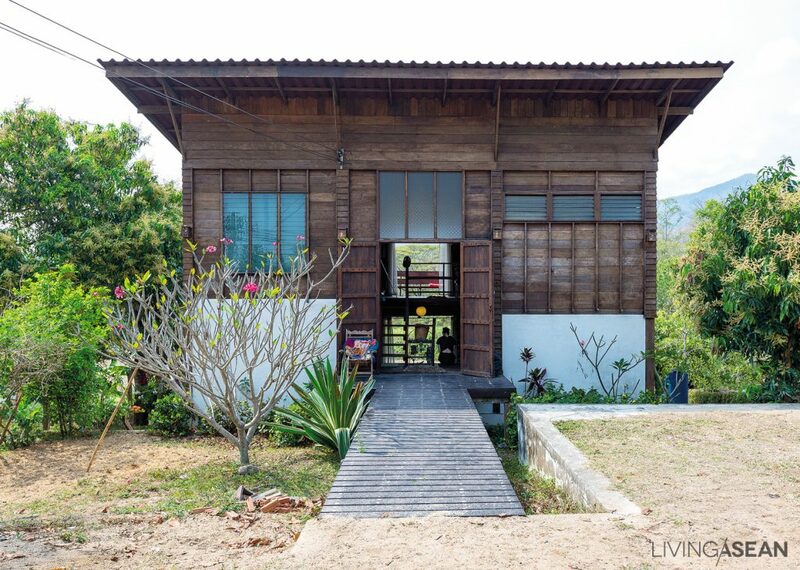 If you like minimalist family homes amid paddy fields but you think they’re not cool enough, this hip house on a farm will make you think twice. 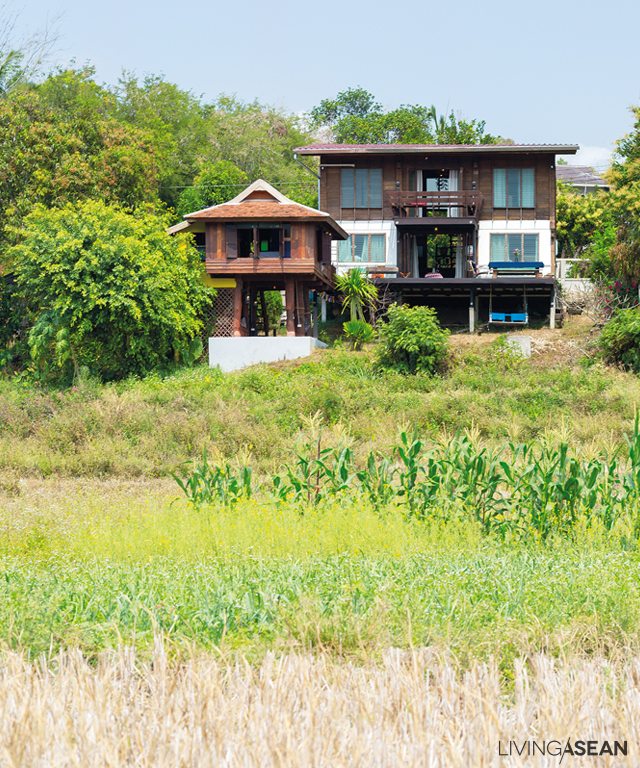 A warm half-concrete half-wood house stands right beside lush paddy fields on a rural road leading to Chiangmai, Thailand. Albeit a little plain, the two-story country home has some modern elements to it. 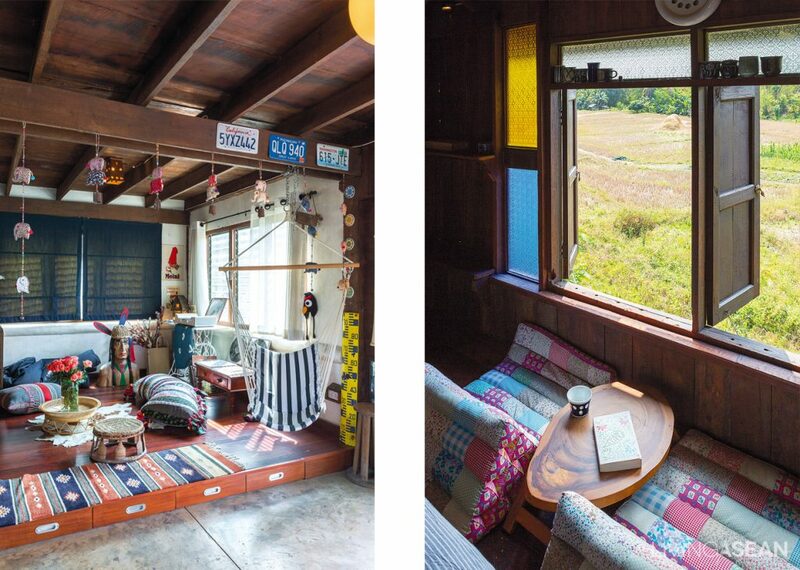 That’s reason enough for Keatnapin Sobhinnon and Patsa Attanon to buy it for a retreat from hectic city life. Sloping ground calls for split level design, and stepped foundations are necessary. On the outside, utility spaces are assigned to different levels. For safety reason, an open air car park is made level and supported by concrete retaining walls. 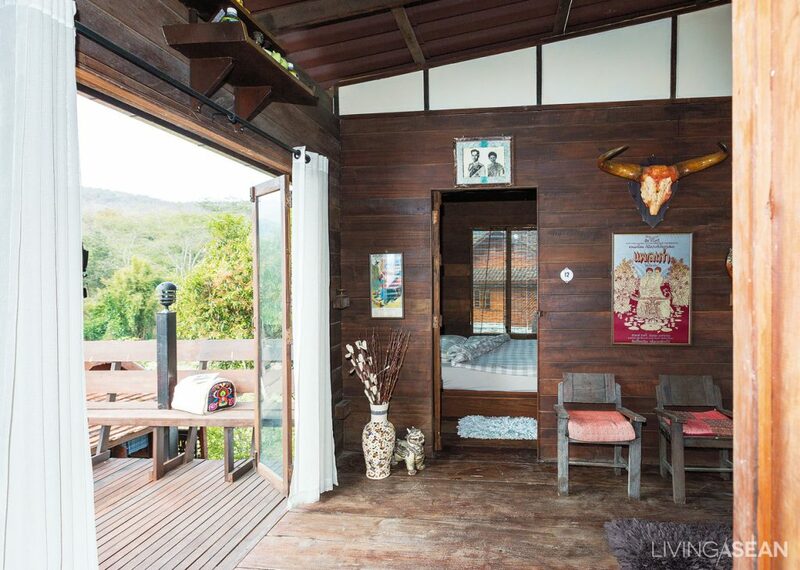 The house’s front entrance is easily accessible via a small wooden bridge, a feature that makes the front façade look cool. The décor in the family living space is just awful. Do-it-yourself crafts and decorating ideas add fun touches to every part of the room. 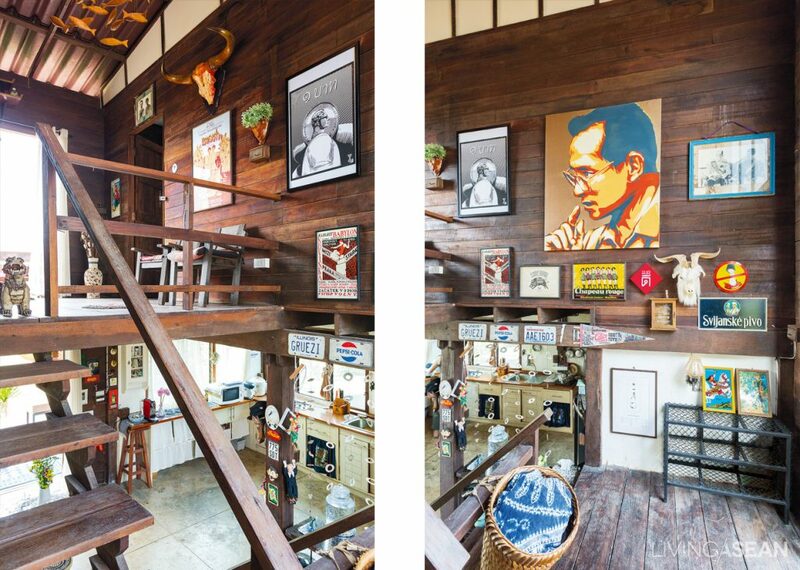 Chiang Mai being a handicrafts capital, the owners enjoy the freedom of creating their own design for every piece of furniture. Then they simply ask local artisans to make it to specifications. Needless to say their fun and vibrant personality is reflected in the interior decorations – warm, inviting and without pretense. 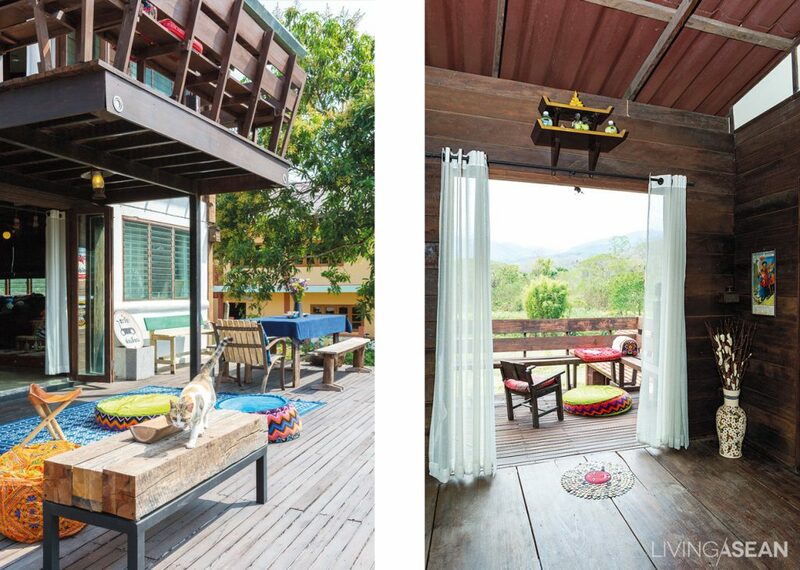 To increase outdoor living spaces, the couple added more terrace spaces to the design. 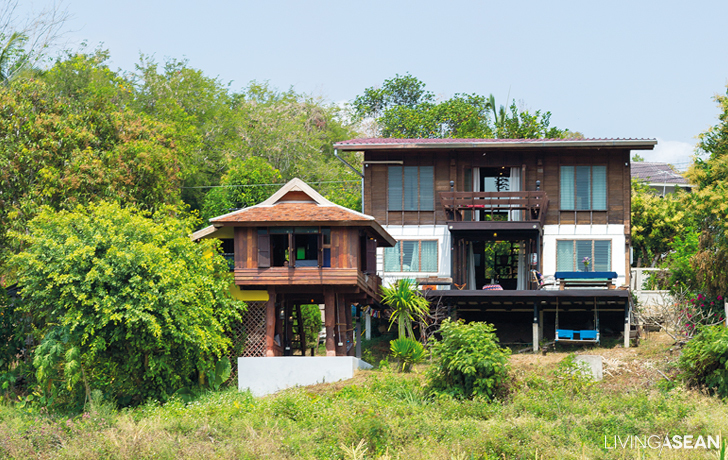 They in turn connect to the stand-alone “Reuan Long Khao,” a vernacular farmhouse-on-stilts common in northern Thailand. The building has since been converted into accommodations for visiting houseguests. 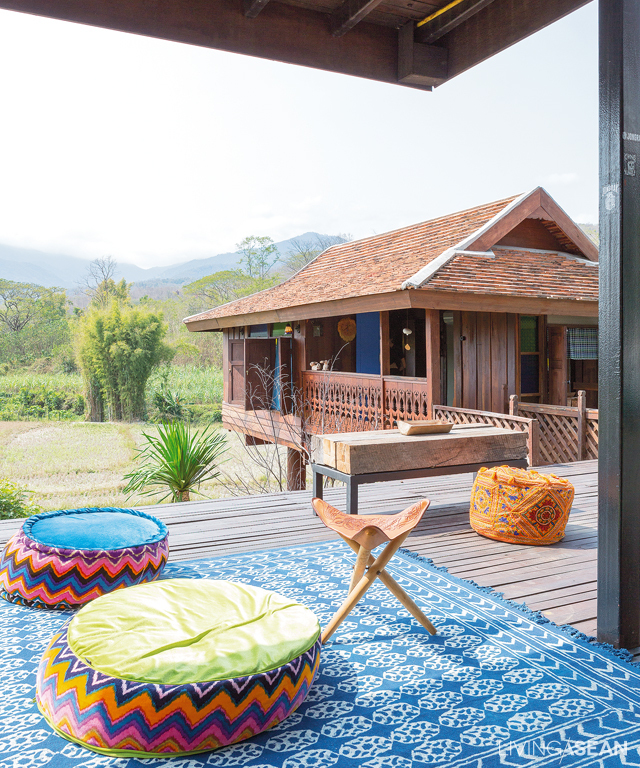 An expanded terrace space connects to “Reuan Long Khao,” a traditional farmhouse turned guest accommodations. 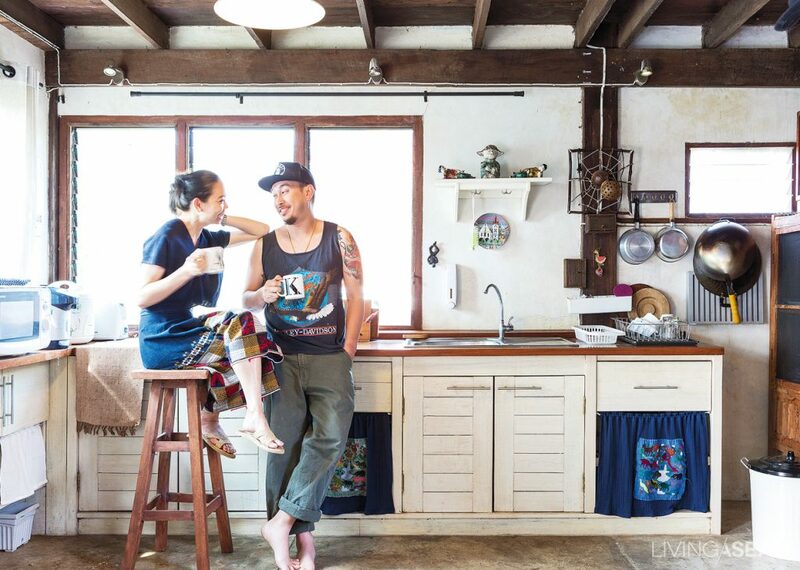 With panoramic views of the hilly landscape and the modern comfort of their home, it’s easy to see how the couple have come to love this rural house so dearly.